Cyborgs and Lunars and Lols, oh my! Marissa Meyer’s debut novel, Cinder, is a brilliant postmodern fairytale-reboot. The tale of Cinderella has been dusted-off, re-wired, and teleported into a future New Beijing. Cinderella is a cyborg, her prince is a hoodie-wearing emperor-in-waiting, and a mysterious plague sweeping the planet isn’t the only thing threatening to disrupt the ball! Film and TV are awash with updated and re-worked fairytale adaptations at the moment, but you won’t find a grungy mechanic salivating over sweet buns with her android sidekick in Snow White and the Huntsman or Mirror Mirror. Meyer has made Cinderella sci-fi; a concept that, thankfully, doesn’t devolve into the gimmicky. Meyer expertly weaves traditional elements of the fairytale with new ideas and intriguing plots (lost moon princess, anyone?). Seasoned readers may well guess the “twist” early on, but more important than the revelation are its consequences, which will continue to excite and entertain until the cliff-hanger ending (which of course it has, it’s the first in a series, after all). Character development isn’t lost in the heady mix of oriental futurism and inter-planetary politics, either. 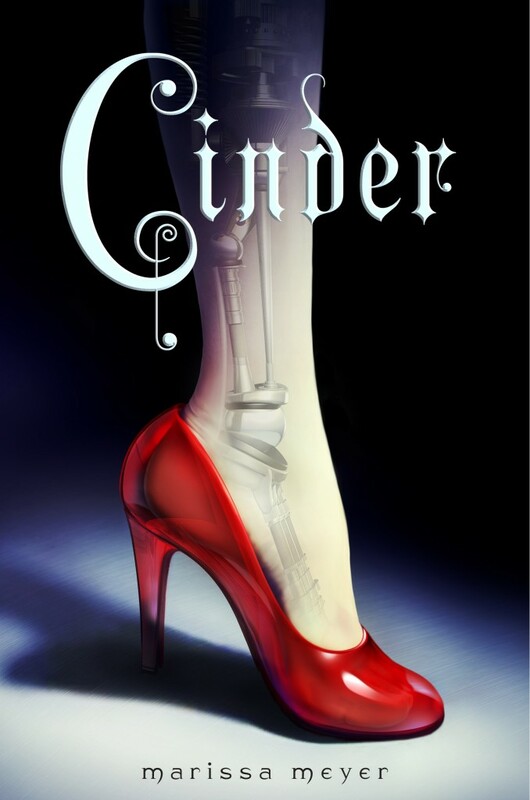 Cinder may be based on a fairytale, but Meyer’s characters are not simplistic stereotypes. Cinder herself is a wonderfully strong, funny character. She is witty and capable, oppressed but not weak. Although in social limbo – being a cyborg stops her from integrating fully into society, and causes tension in her adoptive family – Cinder will talk back and ignore the rules. Not that this stops our heroine from dreaming of a new life, or plotting her escape. What’s more, Cinder may fancy the pants off Prince Kai, but that’s not going to stop her from trying to save her sister’s life, or indeed the world. This sounds so good and I'm actually really excited to read it. I love when authors do something new that isn't the same style as all the other books. She's definitely not jumping on a bandwagon; it's fresh. Hope you enjoy it!